We have your business covered! Polices tailored to your needs. Insurance policies tailored to the specific needs of your marijuana-related business. As a cannabis farmer, you have to protect your plants through various stages of their life cycle. By opting for our Marijuana Growers Insurance you can make sure that the time and effort invested in planting, harvesting and processing your marijuana crops will not go to waste. Are you in need of medical and recreational marijuana growers insurance? If you’re concerned with covering your crop, then you certainly are. 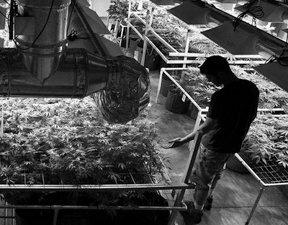 Marijuana growers insurance is designed to offer support when you need it most. You probably have a worst-case scenario in your head, and the undeniable truth is that cannabis crops can be devastated by natural hazards, technical malfunctions or even criminal activity. Hundreds of hours of work and thousands of plants can be destroyed in a matter of minutes, along with their monetary value. 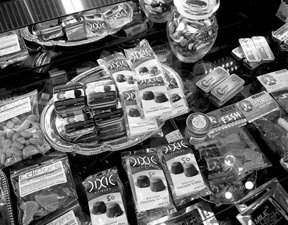 Marijuana dispensaries handle cannabis and money, and business owners need to protect both. Our Marijuana Dispensary Insurance package includes coverage for your property, products, money, and securities. In the unfortunate event of robbery or theft, you can recover your financial losses and continue running your business. Like all other businesses, marijuana dispensaries need insurance as well. After all, a marijuana dispensary is an investment that provides a livelihood for both the owner and the employees. Not getting an insurance means that you are endangering that livelihood, along with the time and money you have invested into your business. 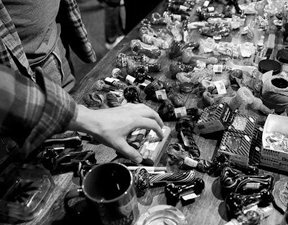 Without the marijuana dispensary insurance, you could lose your business overnight. We know that you are committed to saving lives, while recommending the best remedies to your patients. Unfortunately, patients can also view you as the culprit if their health deteriorates after using therapies endorsed by you. 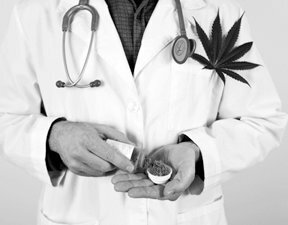 To avoid the enormous costs associated with such claims and the ensuing lawsuits, you can opt for our Medical Marijuana M.D. Insurance. As a medical doctor, you probably have a medical malpractice insurance policy already in place. Unfortunately, most malpractice insurance policies contain certain exclusions. Therapies involving the use of medical marijuana are often among these exclusions, as cannabis is unapproved by the U.S. Food and Drug Administration. If you are renting your property to a cannabis business, such as a grower or a dispensary, a certain degree of risk is involved. Choose our Cannabis Industry Lessor’s Risk Insurance & Commercial Property Insurance to minimize your risk by protecting your commercial property against damages in the event of fire, theft or other issues. Although testing labs operating in the cannabis industry do not get as much exposure as marijuana dispensaries or medical doctors, the lack of proper insurance can still lead them to a business left in ruins. Expensive equipment, scientific samples, and years of research can all go to waste in the wake of accidental or intentional damage done to your testing laboratory. 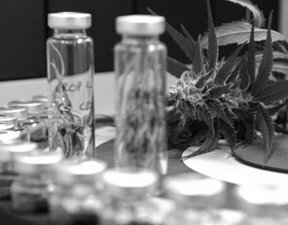 Our Cannabis Testing Laboratory Insurance is designed to protect marijuana testing laboratories in case of negligence claims and various types of damage (e.g. property damage, contamination, spoilage, mechanical malfunctions). We also offer Excess Liability coverage to your business to help you with the high costs associated with the replacement or repair of specialized equipment. 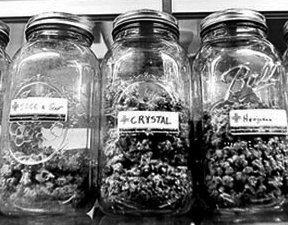 As a manufacturer in the marijuana industry, you need an insurance company that knows how to correctly assess the risks involved in the production of infused products. Cannabis is unregulated by the U.S. Food and Drug Administration, therefore many insurance companies avoid offering policies to businesses that work with substances derived from it. Whether you are producing cannabis-infused edible treats or lip balms, you have to be aware of the fact that you can be held liable for any minor flaw in the design or manufacturing process of your products. With our Cannabis Infused Product Manufacturers Insurance that liability is lifted off your shoulders. Additionally, you will have coverage in the event of damage to your property or loss of income. Most property owners face unexpected cancellation of their lessor’s risk insurance when their respective insurance companies find out that marijuana-related businesses are operating on the premises. As a property owner and lessor, you cannot let your property stay uninsured. Upon identifying what types of businesses are located on the insured property, insurance companies usually terminate the insurance policy within 30 days, in order to avoid risks associated with businesses that operate in the cannabis industry. Our Ancillary Marijuana Business Insurance is designed to help both vendors and manufacturers, and is tailored to the specific needs of each company. We know that vehicles, employees and products can be damaged in various situations (even on the road), so we offer an insurance package that starts with General Liability and ends with Cargo & Commercial Vehicle Insurance. Marijuana Insurance Agent’s mission is to offer insurance policies to every type of business operating in the cannabis industry – from growers to smoking device manufacturers. In an ever-growing industry, you have to be prepared for any hardships you may encounter. A quality insurance policy can help you recover after suffering various types of losses. Marijuana Insurance Agent has been established as an insurance company for businesses that operate in the marijuana industry. We aim to protect various types of businesses through our insurance policies. 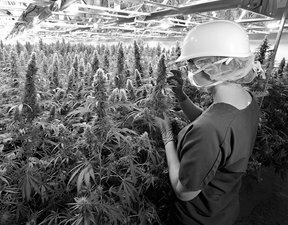 We offer our services to cannabis growers, marijuana dispensaries, medical doctors, property owners, laboratories and manufacturers of infused and ancillary products throughout the U.S.A.
Our mission is to serve a growing industry that is often overlooked by other insurance companies – that is why we have developed insurance policies that are tailored to the specific needs of your marijuana-related business.